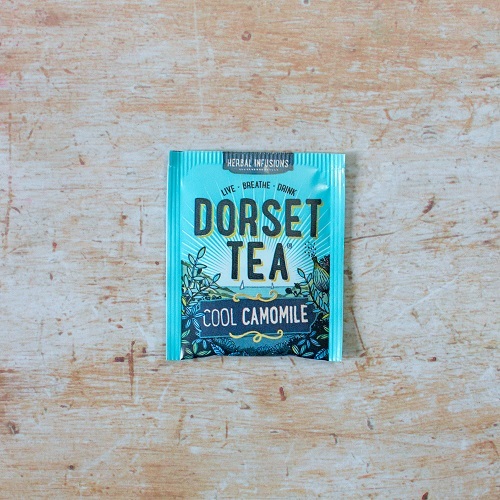 Let go & enjoy the laid-back Dorset lifestyle with this delicious camomile herbal tea infusion. Pack contains 20 tea sachets, total weight 40gms. Camomile 88%, Raspberry flavour 10%, Lemongrass Flavour 2%. Just follow these 3 simple steps for the perfect Dorset herbal infusion. I am a regular drinker of chamomile tea. Had Cool Chamomile Tea on holiday in Dorset. It is absolutely delicious with the light fruity notes making it the must have tea in my caddy from now on. Will seek it out locally and buy in bulk! What an amazing smell! It tastes fabulous too! The addition of raspberry was inspired and the resulting fragrance is so lovely I held onto my empty cup for ages afterwards to keep breathing it in! I will certainly be buying this as soon as I find my local stockist (the Cool Camomile sachet was a free sample enclosed inside the tea caddy I purchased at my supermarket.) 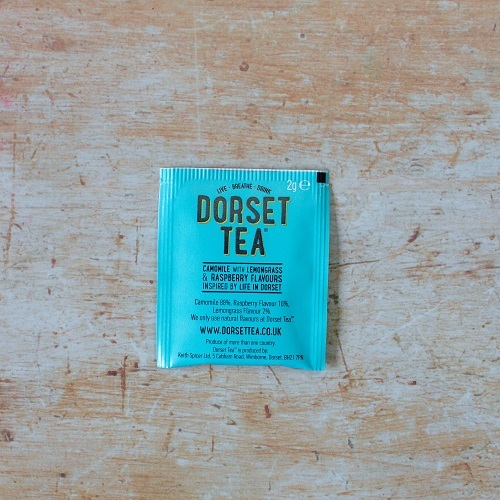 Thank you Dorset Tea and well done!